BizSlate is a cloud-based inventory and order management solution which measurably helps small and medium-sized wholesale businesses in the apparel, footwear, accessories, housewares, and consumer goods industries increase revenue and profit by improving operational and supply chain efficiency. BizSlate seamlessly integrates with QuickBooks Online (QBO), Ecommerce platforms (e.g. Shopify) and EDI systems to accurately synchronize real-time inventory data across all sales channels. Easy to use and affordability, yet the power and efficiency of larger systems. Balances the complexities of large EDI relationships with the simplicity of smaller ecommerce transactions. Flawlessly maintain omni-channel inventory across multiple warehouses and sales channels. No extra fees based on order volume or integrations.  Free lifetime U.S.-based phone support.